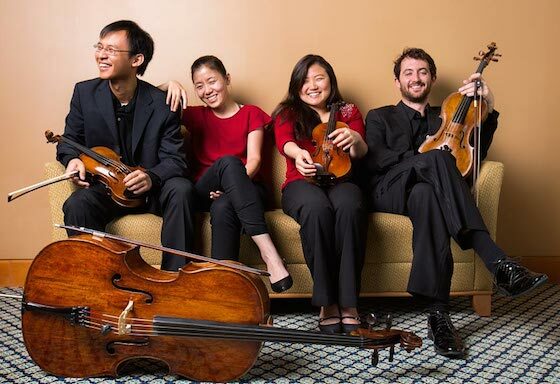 May 11, 2015, 10:50 AM · Congratulations to the winners of the 42nd annual Fischoff National Chamber Music Competition! The competition was held over the weekend at the University of Notre Dame in South Bend, Ind., with 49 ensembles from around the world competing (narrowed down from 133 ensembles from 29 countries) in junior and senior divisions. The Zorá String Quartet. Photo by Josef Samuel. The competition was founded in 1973 by Joseph E. Fischoff and and members of the South Bend (Ind.) Chamber Music Society. This year, National Public Radio’s From the Top will tape a special program called From the Top Backstage at Fischoff for broadcast beginning June 15 on member stations. May 12, 2015 at 02:29 PM · Thanks for reporting this, Laurie, it's so great to learn about all these wonderful young people.